One of the most effective remedies that our grandmothers used for bride’s glowing and healthy skin is Ubtan – an age-old Face and Body Mask. 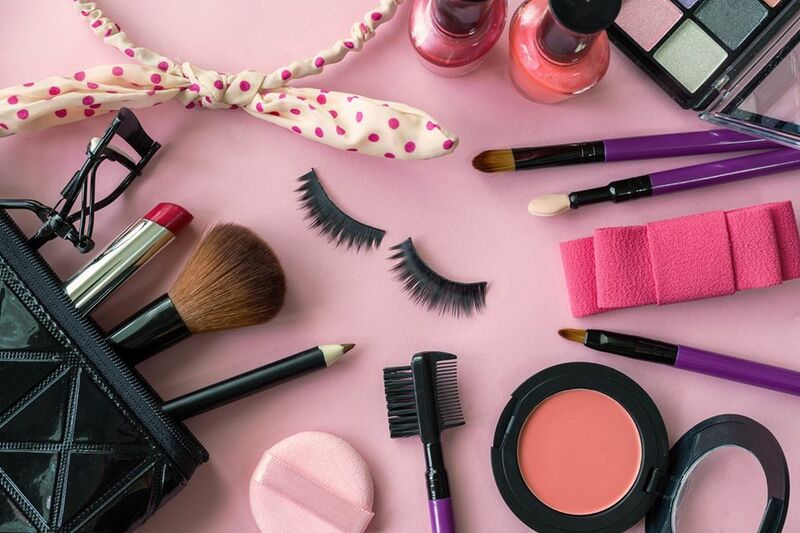 No doubt it is still the star of any wedding show when it comes to enhancing a bride’s beauty. It is proven to provide a smooth, healthy and flawless skin with a glowing complexion. There are many benefits of using Ubtan. One of them is the natural gleaming glow of the skin. All the ingredients used in Ubtan have coolant properties that help relieve the skin from excess heat and tan. They remove dead skin and help get soft and supple skin. 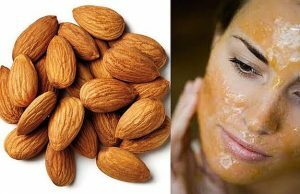 Also, it has anti-inflammatory and anti-bacterial properties inhibit the growth of bacteria, keeping the skin off acne spots and pimples. Another amazing thing about Ubtan is that it weakens the hair from the root and reduces its growth. 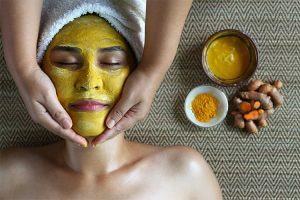 Furthermore, certain compounds in turmeric and sandalwood powder delay wrinkles and fine lines along with spots that are responsible for the skin to look aged and dull. Below are some more Ubtan recipes for different skin types. Mix all the ingredients in a bowl and form a paste in thick consistency. Add a full quantity on the face, neck or whole body. Apply it all over and relax. Let it dry before washing it off with lukewarm water. Use this paste at least twice a week to see useful results. 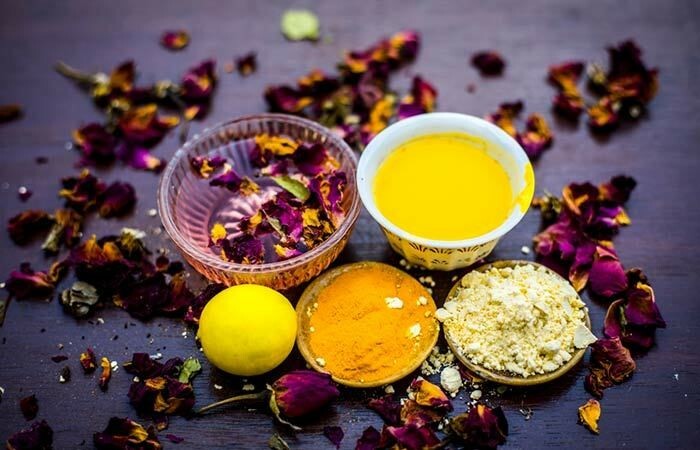 In the above traditional Ubtan Face and Body Mask, other ingredients like orange peels, neem powder and lemon may be added for additional benefits depending upon the skin type. Because of the natural ingredients used in the Ubtan, we suggest being used on a regular basis. The pleasantly surprising outcome of its regular use is inevitable. 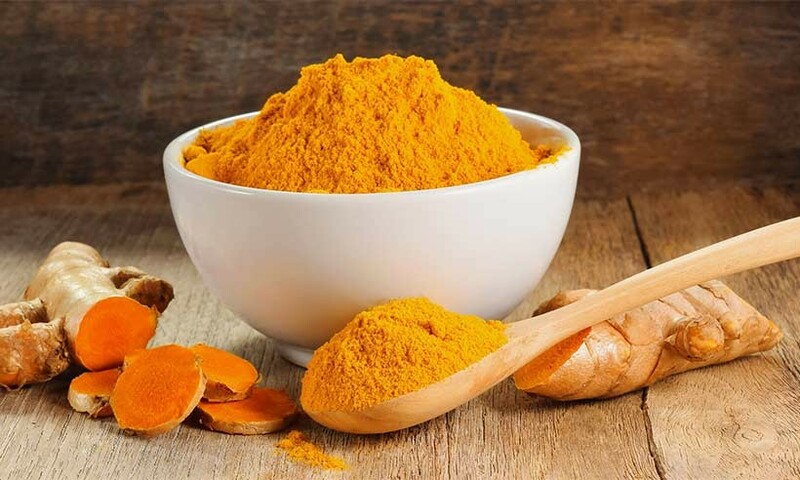 Mix 1 tablespoon gram flour (Besan) with 1 tablespoon rice flour with a pinch of turmeric (haldi), 1 teaspoon lemon juice, 1 teaspoon potato juice, and rose water as needed. Make a thick paste and apply it wherever you have tanned. Once it dries, scrub it off with water in circular motions. Use it regularly to get rid of your tan. Mix 1/2 cup gram flour, 1 tablespoon sandalwood powder, along with 4 tablespoons of full-cream milk, and rose water as needed. Apply this on your face, neck, and arms and let it dry. Use lukewarm milk to scrub off the Ubtan, before washing it off with water. 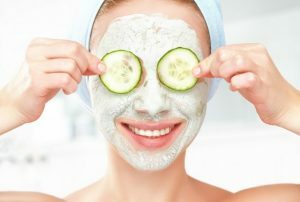 Mix the pulp of half a cucumber with 1 teaspoon of mint juice, 1 tablespoon Multani mitti (Fuller’s Earth), 1 teaspoon sandalwood powder, and rosewater as needed. Apply the paste evenly all over your face and neck, and leave it on for 15 to 20 minutes. This can help soothe your skin and prevent irritation, redness, and rashes during summer. Mix 2 tablespoons each of milk powder, gram flour, and almond powder. Add a pinch of turmeric, and 1 tablespoon fresh cream and lemon juice, along with a few drops of olive oil and rose water as needed. Apply it on your face and body, especially the areas prone to dry patches. Wash it off with lukewarm water once it dries. Skip the fresh cream, and use skim milk instead if you have very oily skin. 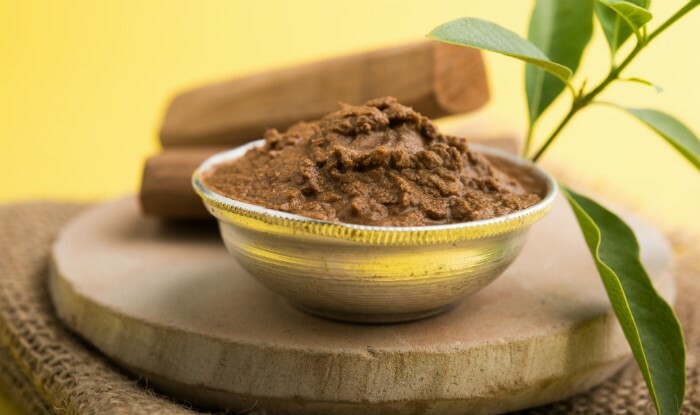 Mix 1 tablespoon each of red sandalwood powder and Multani mitti (Fuller’s Earth), 1 teaspoon tomato juice, a handful of crushed mint leaves, and 2 tablespoons neem paste. Apply it evenly on your face and let it dry. Wash it off with cold water. This will keep the pimples away, especially if you have oily or combination skin. Mix 2 tablespoons of red lentil (masoor dal) paste, with 3 tablespoons rice powder, 1 tablespoon almond powder, along with 2 tablespoons of oatmeal, 2 tablespoons of fresh cream, a pinch of turmeric, and rose water as needed. Make a thick paste and apply over your face and neck. Once the Ubtan dries, gently wash it off with lukewarm water. Using this Ubtan regularly will give you a baby soft and smooth skin by your wedding day. Take a cup of masoor dal (red lentil), a quarter cup of uncooked rice, and eight to nine almonds and grind each of them separately. Now, mix these three powders in a bowl and add about half a cup of oatmeal, and a pinch of turmeric in it. Make a thick paste by adding rose water. Apply it all over your body and let it dry for some time. Once the paste is dry, scrub it off gently and wash with regular water. For those having dry skin, it would be a good idea to add milk cream in this Ubtan as mentioned above. This is a very nourishing Ubtan, especially for those with dry skin. Mix two tablespoons each of milk powder, gram flour and almond powder. Mix all these ingredients and add a pinch of turmeric powder in this mixture. Now, add one tablespoon each of milk cream and lemon juice in it and a few drops of rose water and olive oil. Apply this concoction all over your face and body with a gentle massage. Let the pack dry for some time and remove it by washing it off with lukewarm water. 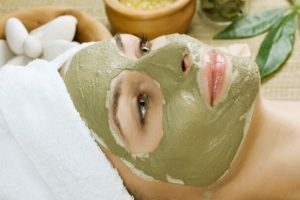 Apply this natural ‘beauty mix’ at least thrice a week for maximum benefits. This is a unique and highly nourishing Ubtan to be used during the winter season. For making this, grind 15 pieces each of almonds, cashews and pistachios. Also, grind one-fourth cup each of flaxseed, masoor dal, rice, dried orange peel and oats separately. Mix these powders in a dry bowl and add one tablespoon of turmeric, a pinch of saffron and 10-12 drops of sweet almond oil. Now, add honey and rose water to form a thick scrub. Apply it all over your face and body, and scrub off after a few minutes. Try this fantastic Ubtan recipe for a blemish-free and bright glow. For this simple Ubtan, you will need gram flour, wheat bran, milk cream or yoghurt, and a pinch of turmeric. Mix all the ingredients in a bowl and keep the mixture as it is for a while. In the meantime, massage your body with sesame seed oil, and then apply this mixture. Leave it for half an hour and wash it off with lukewarm water.